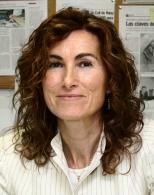 I am a professor of Physical Anthropology at the Universitat Autònoma de Barcelona. Leading GROB (Research Group in Osteobiography) of this University that aims to interpret and biological reconstruct people and populations from his remains. Thus, my research field center in various aspects of the study of human variability and diversity at morphological, histological, biochemical and molecular level. Regarding the chronological scope, the type of analysis that we conducted embrace from prehistoric times, specifically the Neolithic, but above all Bronze and Iron ages, to the present. Regarding current remains, we deal with forensic anthropology studies, with special emphasis remains of the Spanish Civil War.